I am on the advisory board of 2 companies and on the board of directors of 1. One way to think of startups as going through the “forever school of learning”. Before MVP you have 4 seasons or primary school, then after MVP, before Product Market Fit, 4 seasons of middle school, then after raise your series A or 3 quarters of consistent revenue growth, 4 seasons of high school and finally after series B and beyond, 4 years of graduate school. As you’d expect, the challenges (or courses) get more difficult as you progress. The early challenges are largely speaking to enough customers to get feedback and nailing the specifics of the problem you are working on with product updates and later on they tend to be about metrics, strategy and managing cash. Here is a template document I have used with my monthly advisor updates. Most of the startup CEO’s create this template on Google Docs. The other advisors update the doc with their comments and since we are all at different locations (and continents) it is easy to review the combined feedback. There are 5 sections as you can see above. The section I value the most are the what they learned and what they accomplished. Usually what I have found is that the CEO updates 3 sections – accomplishments, key metrics and areas they need help and the co founder or product person updates the remainder. Most of the advisor meetings are about an hour a month with many shorter updates and conference calls in between. Board meeting packages on the other hand tend to be more metrics focused. 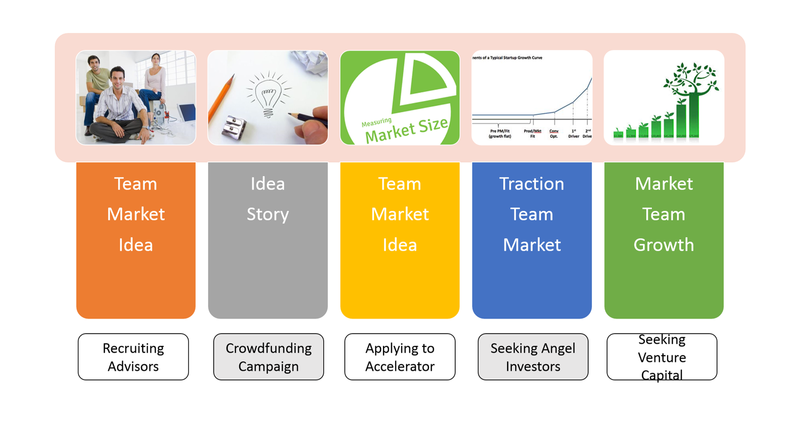 Here is a sample board deck that I have suggested be used (from IA Ventures) to my startups. The key part of the advisory monthly update document is that it needs to give your team accountability and ensure the advisor has visibility into the progress so they can help. Please let me know if you have a better template. Does your idea matter at all to anyone but you as an #entrepreneur? Short answer – it does a lot, but not as much as you think it does. There is a never ending debate about how much do ideas matter when you are starting. There are arguments on both sides of this thesis. There are folks that believe ideas are dime a dozen and execution is everything and others who believe that ideas are what differentiate the great entrepreneurs from the mediocre ones. So this makes me believe the answer is somewhere in the middle. A good idea executed well is obviously better than a good idea executed poorly. Similarly a bad idea executed well is marginally better than a bad idea executed poorly. Either way, execution does matter as does the idea. I put a chart together based on my experience of the top 1-3 things that different folks care about the most when you are progressing along stages of your startup. The first thing to keep in mind is that the idea matters most to your potential customers. Your customers may care about the team, the problem you are trying to solve (it better be important to them) but they certainly dont care as much about your market or your growth. At the napkin stage when you are trying to recruit advisers, and early folks; your team and market matter to them the most, then possibly the idea. The next stage (if you are going that route) at the crowdfunding stage, the idea and your story matter the most. The market maybe somewhat matters, but the team does not seem to matter as much since they are largely the “people” behind the video. The stage beyond that (again if it applies), which is the accelerator stage, the team and market matter the most. The assessment of whether the team can pivot plays a lot into this stage. At angel investor stage the traction seems to matter most, followed by team. Enlightened angel investors care more about the team and the market, but accelerators have trained the startups and angels to write checks based on “traction”. Finally when you are ready for the venture capital round, lots of things matter, but most VC’s will tell you that the market you operate in and the team matter the most, followed by growth in metrics. If you look at the chart above, the obvious conclusion you will come to is that idea does not seem to matter to most people. If, however you expand the “crowdfunding” stage to “recruiting customers“, then at that, stage ideas matters more than everything else. So the idea does matter, it matters a lot and it matters to a key (if not the most important) constituent of your startup – the customer. Does it matter as much as you think though? That answer is also no, because, the other “constituents” including potential employees, care about working on a great problem, getting paid well and being challenged (in that order hopefully). So, when any of your investors or potential advisors or an accelerator tells you “Ideas dont matter” – you know they are wrong, but not as much wrong as you really think they are. This is a follow up to the post top 5 things a founder should do after hiring the first sales person at their startup. Congratulations. You have been hired as the first salesperson at a hot startup. Here are the top 5 things you need to do before, during and after coming on board. 1. Speak to as many customers as possible to understand “Why did they buy”? Ask the founders to help connect you to existing customers before you join so you can clearly understand why customers are buying. Is it because of the relationship the founder has (most likely at early stage startups), or are they solving a real pain point? Is it obvious there is a pain? Will there be budget allocated for this pain? Help the founders document the set of steps in the sales process during this phase as well. 2. Find out what your disciplined schedule will be for the first 30 to 90 days. Besides building your pipeline of business, there should be nothing else you should be working on. Whether it is researching 20 prospects, cold-emailing 20 potential targets or engaging with 20 candidate customers on LinkedIn, figure out the basic unit of activity and the way to measure it consistently. E.g. Your basic unit of activity might be to spend 5 min researching a prospect on LinkedIn and understanding what your subject line should be to them and 5 min to craft an email that will help you send a response, followed by reviewing all the people in your suspect list from the previous day. Follow the disciple consistently. 3. Write down 10-20 A/B test headings, subject lines and messages that you will test during your pipeline development phase. You will need to test your Subject lines, the time you email prospects, the call to action, the collateral you will use to incent prospects to engage with you. The founders may already have a message they use, but dont take that at its face value. You will need to find the top 3-5 things your prospects will care about and the top 3-5 things they are willing to do as a next step or the 3-5 things they need to be educated about during the sales process. You job is to try and have enough permutations and combinations of these pain points, calls to actions and collateral till you hit the top 3 combinations. E.g. Try the 3 top industry news items as headlines rotating and also your top 3 benefits, then the top 3 pain points or the top 3 questions on their mind as your subject lines. 4. Align on a system (Excel works just as well, if you dont like CRM systems) you will use to track your activity with your founders. Initially you will not have an immediate term wins, so in the absence of sales, activity will have to be measured as a proxy for outcomes. Whether it is # of sales calls per day or the # of demos per week or the # of responses to emails and phone calls that you will have to track, find a way to measure it, and track it diligently. E.g. Put a simple spreadsheet with names of companies, target people, status (1st email sent, No response, Not interested, Call back in 3 months, No budget, etc.) and use a color-coded system for follow ups. 5. Network religiously to find a way to help potential partners who will help you after you help them. Many of the folks in your existing network may be able to help, and they may have an inclination to do so since you are now at a “startup”. Use the fact that you are at one to your advantage. Most people I know love helping and engaging with entrepreneurial-minded people and want to help early stage risk-takers. Even if you dont have a prospect in your network, it does not hurt to ask. E.g. Last week, many of the participants at our customer day, at the accelerator were not prime targets for one of our companies in the Health care segment, but many had “friends” or “ex colleagues” who were now in hospitals and they were willing to help. After the initial 5 or so customers and exhausting your personal network, and having product market fit, you are likely to look outside and hire your first sales person. Here are the top 5 things you need to do before, during and after you hire that individual. 1. Ensure you have set the right expectations for yourself, cofounders and the new sales person. If the sales process is long, dont expect the sales person to make it any faster initially. If you have no leads to start them off, dont expect them to bring a pipeline and if your customers are expecting a POC and trial before they are willing to consider purchase, dont expect the sales person to be able to close a sale before they experiment. You should also have the expectation that the sales person will take 2 times your average sales cycle to build their sales pipeline. So if your average deal takes 3 months, expect them to take 6 months to get their pipeline “filled“. I am often surprised at how much entrepreneurs and cofounders expect from a new sales person, if they have not been able to close an opportunity themselves. They often assume that since the sales person is a “professional” they will make magic happen. That’s highly unlikely. 2. Document and help the new person understand the sales process as well as you can. A blow-by-blow account of every activity in the sales process is better than a top level set of steps. This step is very useful to also understand what you need to provide in terms of sales tools, marketing materials and collateral, to the sales person to make them successful during the sales process. If the 2nd meeting requires a demo, have it ready. If the best way a customer is convinced is to do a POC (Proof Of Concept), then have a checklist of things the customer needs to have ready for a POC. 3. Help your sales person fill up their pipeline in the first 30-60 days. Remove all distractions that your new sales person has by ensuring that they are not responsible for “strategy”, “blogging”, “SEO”, “fund raising”, or any other thing that makes them less productive. Their sole aim should be to sell and to do that they need to build their pipeline. The last thing you need to do is to have the sales person’s time filled with non-selling activities. They will likely want to help and get excited with all the other value added activity, but that’s the thing you dont need from them. A not so great sales person will likely bring up all these items towards the end of the quarter when they did not make their quota as excuses. 4. Go on the first 5-10 sales calls yourself to help them learn the ropes. If you have hired an inside sales person, make them a “listener” in the first 3 calls, then be an active listener in the next 3 and finally a passive listener in the next 3 calls. It is important for you to understand if the sales process is different if a founder goes to meet prospects versus a sales person. It is also important to gauge the sales person’s ability to handle objections, prospect questions and also understand the politics of the customers’ organization. It also helps for them to hear you pitch your product, or vision or benefits. 5. Segment the right prospects based on your current customers to ensure they dont chase the difficult or slow to convert prospects. Until the first few deals happen, the sales person will be on edge and they will get frustrated if they make no progress. If they are good, they will likely leave on their own, and you will have to start all over again. Give them hard qualification criteria on who makes the ideal customer – if that is an early adopter, then you need to define their budget, behavior, title, size, industry, and be as clear as possible. There are not too many early adopters, so I highly recommend you only give them less than 10-25 prospects (cold or warm) to start with to give them confidence and help you build conviction that they can sell this. The question “What do you want to be when you grow up” is a pain to answer for kids as it is for startup entrepreneurs. Most times you just dont know. Sometimes you ask other people in the hope that it will lead to an answer that you can co-opt. Other times it is not clear yet (unlike with kids) if you will ever grow up. 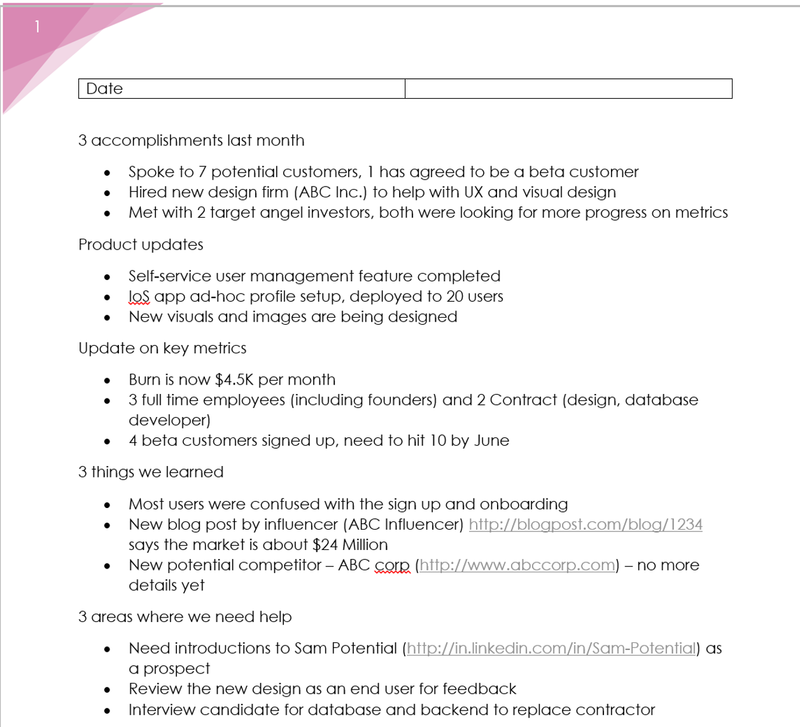 Even if you dont want to grow up, I’d still recommend you spend some time putting together milestones that matter to your company for an 18-24 month period from when you start so you know what you are shooting for. “If you hit the milestones you set out for your company, would you be much more valuable as a startup than you are now”? The relative sense of “much more valuable” indicates that this is very different for each company, founder, market and type of startup. Most entrepreneurs who are focused on B2B bemoan that they are measured to revenue metrics, compared to their B2C counterparts who usually are measured on user growth (or engagement). Regardless of what you are measured on, the key is to ensure that you document the most important metrics that will move the value of your startup. So, to set milestones, the first step is to agree on metrics to measure, and then the date by when they will be achieved. 1. Revenue metrics. Regardless of what the new “temporary” trend might be, revenue and profit trumps all. In the early stages of your company, profit will be an illusion, so I would focus a lot on revenue growth. How quickly you grow revenue and have reduced churn, better predictability and more diversity gives an investor more confidence in your business. If you need to have one metric alone in place I’d recommend a revenue growth metric. As in most things, quality and quantity of your revenue metric matter. 2. Absolute # of customers / users metric: In some cases, when the revenue is not significant initially (for example you are in the razor blades and razors model of a business) then I’d focus on growth in # of customers. Again, like the previous metric, quality and quantity both matter. If you are an enterprise software business, getting the initial key marquee customers matters more than any customer. In B2C, this is widely followed with startups tracking # of users, MAU, DAU, or engaged users, or a proxy for # of users (# of snaps sent for example). 3. # of employees: This used to be a metric people tracked, but I am not sure this really matters as much in terms of growth. I’d focus more on the quality and profile of employees alone, instead of a growth in # of employees,. If, however you are in a consulting or services business and this metric drives revenue, by all means this becomes important to track. There are many more metrics you could track, but the key question you have to answer is “Will this metric(s) drive my startup’s value higher. You can also track metrics that are a proxy for the metrics I listed above. This is so that you can communicate it externally and get people excited about it, instead of having to share a revenue metric. In some cases, (like Uber for example) the # of rides as a proxy for revenue might be tracked. What would those numbers be and by when would you achieve them. This part is the “setting milestones”. It has to come with a “sell by date” or “achievement date”. Simply setting metrics alone, without the date of achievement is typically useless. The important next steps is to break down the milestone into smaller more achievable milestones during your progress (monthly, quarterly, etc.). This is so you can communicate with your team and have them all rally behind the milestone. What value do #startup accelerators provide to #entrepreneurs? Many entrepreneurs and other venture investors have a perspective of the accelerator space with little context or a construct to think about their value. I am biased and run the Microsoft Accelerator and I think most programs are extremely valuable, though I am an insider. There are key questions I thought I’d answer that are top of mind of most entrepreneurs and investors about accelerator programs. How do we think about accelerator programs? The best construct to think about accelerators is the MBA program for entrepreneurs with new age changes and modifications. Instead of tenured professors, you have (hopefully) experienced entrepreneurs who can share their story and journey towards entrepreneurship. Instead of textbooks with theoretical knowledge you have playbooks based on actual experiences. Instead of one teaching assistants you have mentors who have relevant experience in the area that you need help. Is the MBA program great for everyone? No. It is only relevant for those that believe in the power of the network and want to take advantage of the connections (not only customers and investors but other fellow entrepreneurs as well). What happens to existing MBA programs? Will they go away? No, but there will be a serious consolidation. I can see a future where MBA programs are catered to generating folks purely to be placed at a large company such as Goldman Sacs or Bain. Tier 2 colleges and MBA programs will have to fold up. 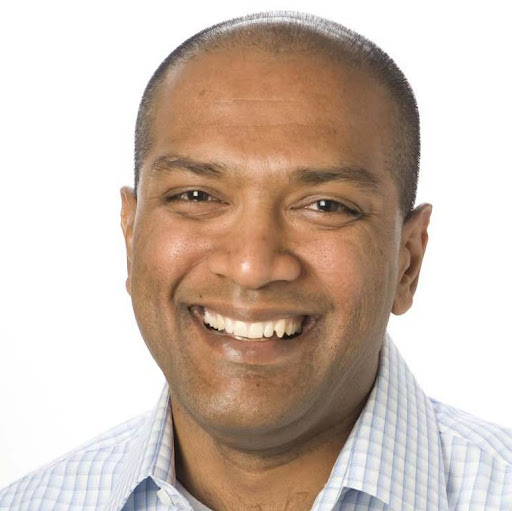 Is there value in other accelerator programs besides YCombinator? If you believe the MBA program construct, then this is a question that answers itself. Even though there are many that falsely believe there are no programs that are better, that’s like saying if you get a MBA from any other school than Harvard, then your MBA is useless. Similar to MBA programs you pay a lot (in the accelerator space you pay equity, not cash) to get that “stamp of approval” or “credibility”. Is that worth it? For most it probably is. What value to accelerator programs provide? For most novice entrepreneurs it is advice, for amateurs it is mentorship and for the professional entrepreneurs it is guidance and connections (the network). Do most entrepreneurs benefit from accelerators? Or just the young, first-time-as-an-entrepreneur do? Do most experienced professionals (who work before joining an MBA program) benefit from an MBA program – absolutely. In fact I would argue they benefit more from the program than young fresh graduates, because they are able to take advantage of the connections, network, mentorship and guidance immediately. What does the future of accelerators look like? Similar to MBA programs, accelerators are beginning to specialize to compete better. There is a need for a lot of management thinkers for companies beyond the consulting and banking industries, which is why so many MBA programs are churning out graduates. Depending on how you see entrepreneurship play out – will it be a winner-take-all market or a very competitive one with many startups and many entrepreneurs, there’s a likelihood that many accelerator programs will consolidate or get “acquired” by venture capital teams. In a winner-take-all market, YCombinator wins. Which means, they get the 80% of the best entrepreneurs and rest are fighting for the scraps. In a more competitive market, YC, like the others has good share, but only 30% of the best companies graduate from YC, and the rest from other programs. I personally think it is unlikely that the accelerator market is winner-take-all. Similar to Venture capital firms, where there are tiers (Sequoia, Accel, A16Z, etc.) form the top tier, and there are over 300+ VC firms still doing well and many return good money to their LP’s. Granted the large funds deliver over-sized returns, but the rest are still doing pretty well. Should entrepreneurs apply to multiple accelerator programs? It depends on the connections and networks you choose to leverage. If you are a health company, YC will be of value, but not by much. You want to attend YC to get the stamp-of-approval, but you will benefit a lot more from programs like Rock Health. I don’t know of too many folks that have gone to attend multiple MBA programs, so I think that a startup going to multiple accelerators will just dilute themselves too much. Unless they attend a program that offers no dilution – like the Microsoft Accelerator program for example or many others. Which is why TechStars is starting to offer their “equity back” (like a money back guarantee) program – You got value or your equity back. What others questions do you have about accelerators? I’d love to think about this construct and see if it addresses more questions about the value of startup accelerator programs.